Sometimes I really miss Comics Alliance. Sure, I miss it as a reader, as there aren't really any good places to go to find smart analyses, funny jokes and quality writing about comics on the Internet anymore*, and most of the long-lived sites that do cover comics are so choked with comics-adjacent stuff about superhero TV shows, movies and video games that it hurts my will to live too much to wade through them to find the occasional bit of comics coverage that interests me. Of course I also miss it because sometimes I'll think of a story about comics I want to write, and I don't have anywhere to pitch it, because no website ever arose to fill CA's precise niche in the online comics coverage ecosystem, an ecosystem that seems to have shrunk dramatically even as Western pop culture as a whole became obsessed with comic book characters. 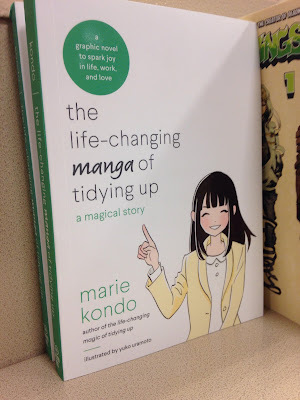 Such was the case a few weekends ago, when I was wandering through my local Barnes and Noble and was confronted by this, the cover to The Life-Changing Manga of Tidying Up: A Magical Story, the 2017 adaptation of Marie Kondo's phenomenal-selling 2014 book The Life-Changing Magic of Tidying Up. I never read the book, although I have handled it plenty. I work in a library, so I checked that book in and out, pulled it off the shelves and put it back on the shelves dozens and dozens of times. It's cover became almost as familiar to me as James Patterson's face, which I see more often than the faces of any of my loved ones. Kondo seems to be having something of a moment now, thanks to the debut of her new Netflix series Tidying Up With Marie Kondo. If my Twitter feed--which is like 95% comics people, 3% politics and 2% Mystery Science Theater 3000 and 90210 alum--is any indication, she had become quite the topic of conversation. 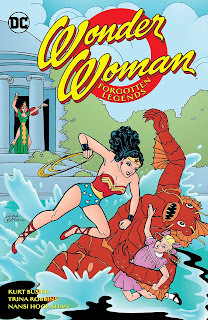 Comics people in particular seem sort of fascinated with her, in large part because they are aghast about this whole "no more than 30 books" rule. 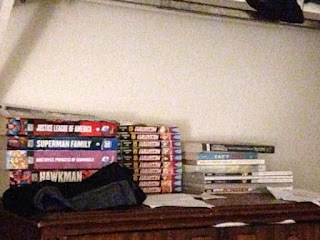 I mean, comics-reading, which often goes hand-in-hand with comics collecting**, is pretty much in diametric opposition to tidying-up, or leading any sort of minimalist lifestyle. (Sure, you could just read comics online, but I abhor the experience, even if it makes sense to me environmentally...and financially. 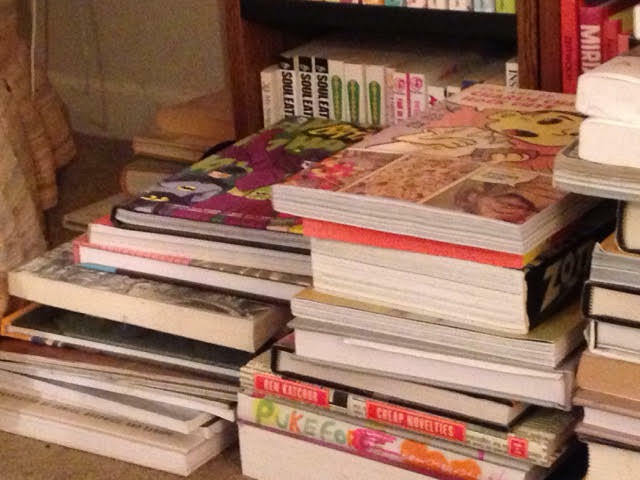 Like, I'm eventually going to have to buy a house just to store my comics midden, which currently fills my apartment and a room of the Mozzocco Ancestral Home). 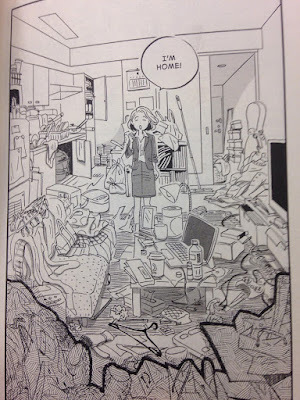 So despite whatever clicks a post about Marie Kondo and tidying-up might provide a comics site, on the tried-and-true journalistic formula of taking whatever is popular and applying it to your readership, I also just find a sort of satisfying irony in the existence of the book in the form of a comic, given that the contents of the book would suggest that I discard what is probably at least 100 volumes just like it. That is, The Life-Changing Manga is basically How To Throw Away Your Comics: The Comic. 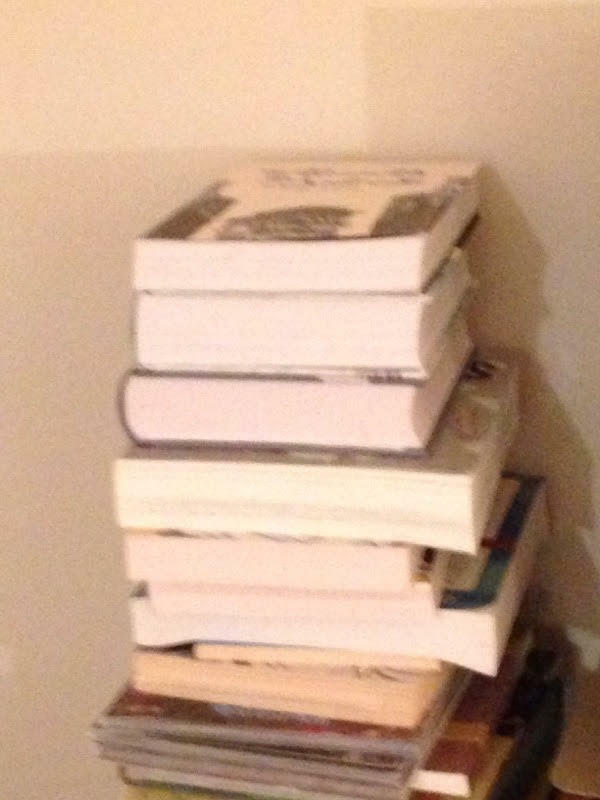 While most of the tankobon I've accumulated now reside in my ancestral home, here is how I'm currently storing the last five years or so worth of them, now that the small book shelf with small, digest-sized shelves on it that I have in my apartment is full. Anyway, that irony: You could say it sparks joy for me. At the very least, I would have pitched a review of the 2017 manga to Comics Alliance, particularly since I don't recall it getting much attention at all in the comics media at the time. But I do think there's probably a decent essay in there too about the strange clash between a manga volume about discarding manga volumes, and the clash between the forces of tidiness represented by Kondo and the materialism of the comics reader, which in many cases is little different than a comics collector which, at a certain point, is little different than a hoarder. 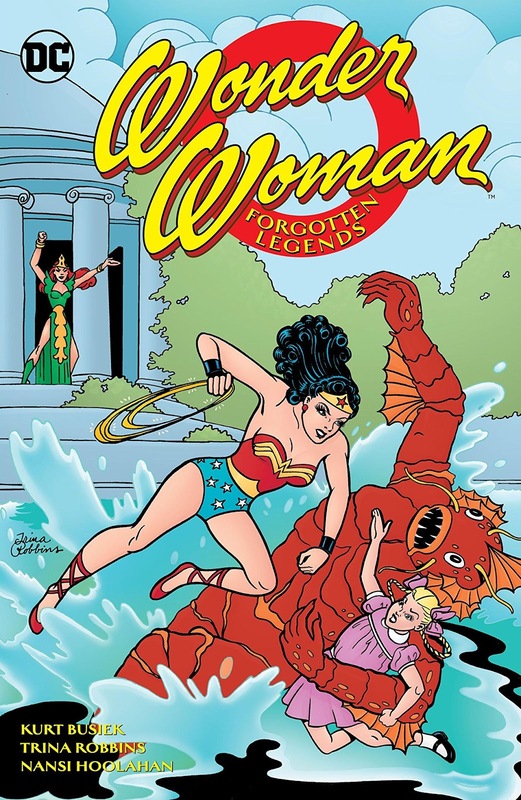 There are a couple of general interest news, politics and pop culture websites I read regularly that occasionally cover comics when merited, and so I even thought about perhaps pitching a piece to one of these sites. So I sat down and read the manga--in the Barnes and Noble cafe, after which point I put it back on the shelf, rather than buying it and bringing it home to add to the precarious piles of manga atop the graphic novels atop the bookshelf full of books and comics collections. At that point, I realized that while elements of Kondo's method really do sound appealing, and that I and my apartment and my life could probably benefit from them, there are two areas of my life I could never, ever tidy: The books and the paper, given all the notes and scribbled lay-outs I have for dozens and dozens of comics and short stories and novels and prose books that I will, honestly, probably never actually write or see published, but I can't just throw ideas away, you know? 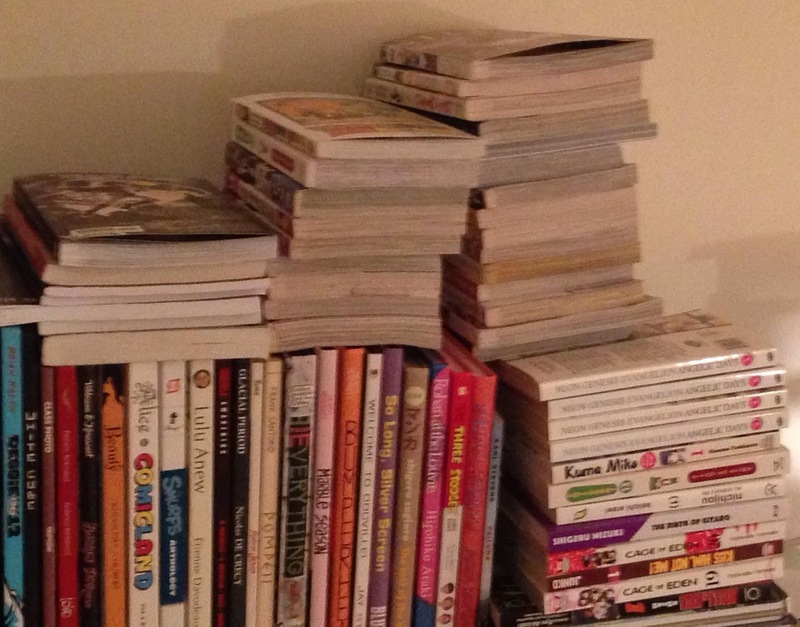 So pitting Kondo vs. comics collecting within my own apartment and recording the process for the sake of an article? Pretty impractical (Also, I don't know how much those sites pay freelance writers, but, based on my past experiences, freelance writing generally pays somewhere between 1-3 graphic novels, depending on the venue. 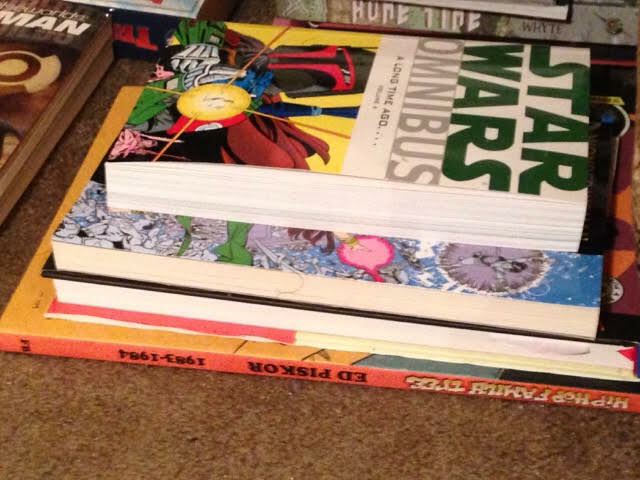 And the graphic novels. The economics here wouldn't work out). Then I thought about this whole sparking joy thing, which is Kondo's measure of whether you should keep something or not. Would that make for an interesting way to review one's comics holdings? Oh, um...I actually haven't read this yet. I accidentally bought the second volume rather than the first, so I still need to go back and buy the first volume and read that, and then I can read this and determine if it sparks joy or not. I'd be lying if I said this sparked joy. 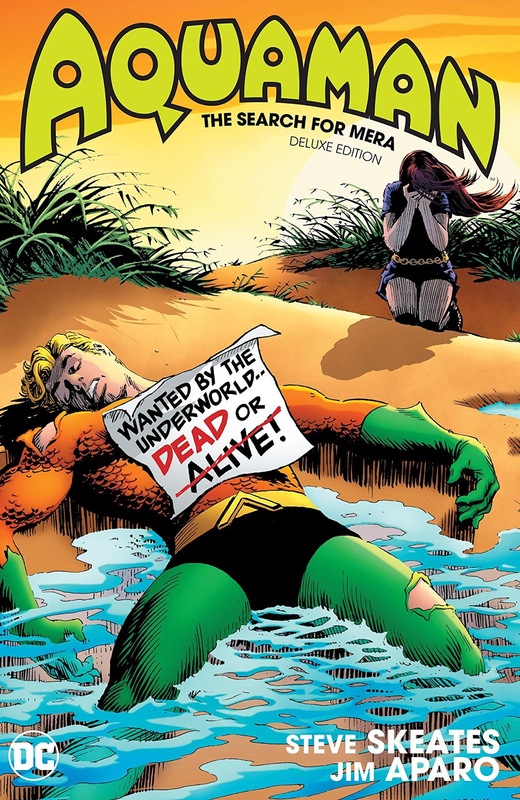 Sorry Aquaman! 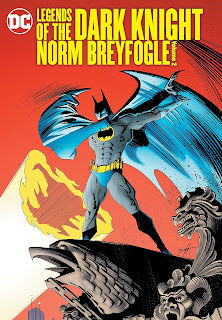 Sorry Mr. Aparo! Oh, I thought this was a great read, but I'm unlikely to read it again, so I felt joy at the time but now...no joy...? And so on. I mean, that's certainly a criteria for criticism. And if paired with a few paragraphs with each "joy" or "no joy," maybe it would be a fun blog to read, but...nah, it would take forever. I mean, reviewing every comic I read as they come into my apartment and/or midden is basically what this blog is, and this has taken me...yeesh, like 12 years...? So there probably isn't much more to the idea than a simple review of the book. Certainly not an essay. Or, at least, not an essay from me. 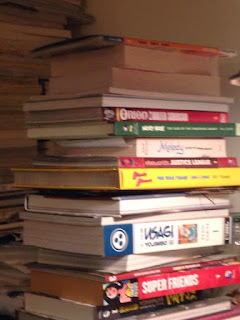 I still like the idea of tidiness vs. comics hoarding, and the idea of Kondo as an avatar of a force for goodness and clarity striking at the inertia and materialism inherent in amassing a personal library/book hoard, but I don't think I have the discipline to write such a tightly focused piece. Especially since I don't have anywhere to write such a thing. Except here. And, if you've been reading EDILW for very long, you already know that none of the writing I do here can be called disciplined or focused. Marie Kondo's name is very large on the cover, appearing alongside her manga avatar, and you would have to stop and look a bit closer to see the name of her collaborator, manga artist Yuka Uramoto, who is credited as the illustrator. 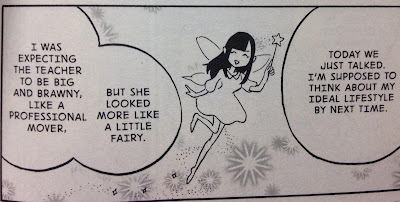 I'm curious if Uramoto just drew the pictures, working from a script or some kind of breakdowns from Kondo, as "illustrator" implies, or if she actually did much more, literally adapting the prose book into comics form. I guess short of asking one of the pair, there's no real way to know. I suppose it's worth noting here that the book is set-up as a work of fiction, telling the story of a character badly in need of the life-changing magic of tidying up as a way of demonstrating Kondo's principles, methods and their benefits. I'm glad this book exists, though. It was a format that I could easily read, enjoy, digest and even incorporate into my own life, if I wanted to, after just one sitting. I don't know how good a job it does adapting the prose book, having not read that, but high-quality manga adaptations seem like a particularly good way to take in popular books that people are talking about, without having to devote many hours or multiple sittings to them. Like, I would never have read the original based solely on the fact that it seems popular or that people are talking about it, but I'll spend the time it takes to drink a couple of cups of coffee in a Barnes and Noble cafe with it, sure. Eat, Pray, Love, Fifty Shades of Grey, Outlander, The Secret, a book about hygge, whatever Oprah is hyping--I'd read, or at least attempt to read, manga versions of any of those topic of conversation books. 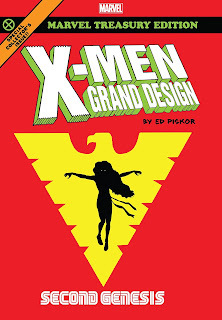 I say attempt, because I suspect there's more to this book's being effective and enjoyable than just the fact that it has been turned into a comic book. Like, I've tried a few of those Manga Guides To Subjects That I Struggled With In School books before--the first for a review for a newspaper--and they were sort of fun as a novelty, but turned into slogs very fast. This was a breeze, and that has a lot to do with the fact that it is so well told, I imagine. Also, there are sections in here on how to fold socks, shirts and suchlike. I have no idea how you do that in prose. I mean, I know how you do that in prose, but I can't imagine it working (For what it's worth, I tried the sock folding method of Kondo's, and I did not care for it. I plan on attempting the t shirt folding technique later, but it has so many steps that I've been procrastinating doing so). 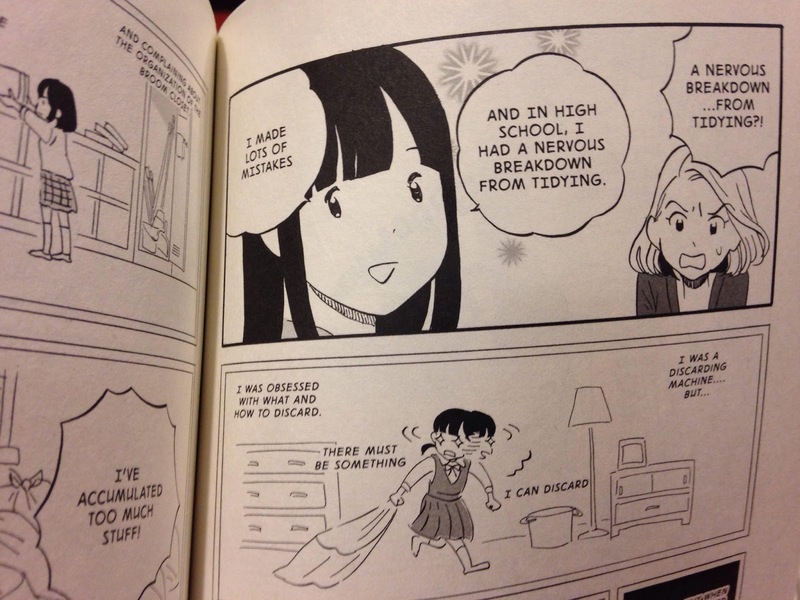 As I said above, though the book is non-fiction, the manga tells a fictional story that incorporates Kondo's lessons. Our protagonist is Chiaki Suzuki, a busy 29-year-old single sales representative who lives in an apartment in desperate need of tidying up. Chiaki reaches a crisis point one night when she's soaking in the bathtub and receives a knock on her door. Through the peephole she sees that it is her next door neighbor, and that he is very cute, so she rushes to find nice, clean clothes before answering him. In the process, she falls, and he comes in to see if she's okay...and he then sees the state of her apartment, as she's pinned to the ground beneath clutter. He did not come over to flirt with her, it turns out, but rather to tell her that the garbage bags she's storing on her balcony--she put the garbage on the balcony to get it out of the way, but then forgot to take it outside on garbage day--has begun to smell so bad that it's bothering him in his apartment. Seeking help online as she lay in bed with her phone, she finds Marie Kondo--"Konmari"--and engages her services. 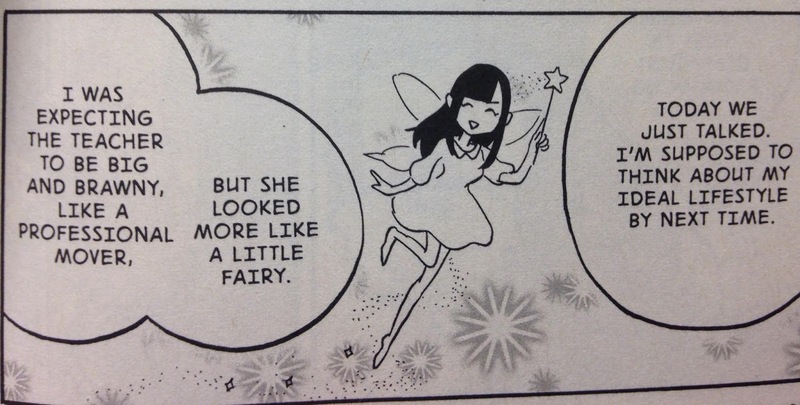 Chiaki is quite surprised to mee tKonmari, who is much tinier and more cheerful than she imagined--she repeatedly refers to her as a fairy--and even more surprised by her unusual methods. She expected help in cleaning, but instead she gets advice on changing her life. 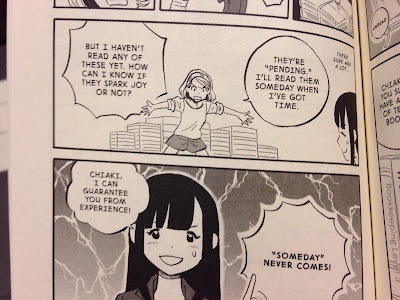 From here, the book is mostly devoted to Konmari communicating her method to Chiaki directly, and the reader indirectly, as we sit in on their lessons. Intermittently, we learn more about Chiaki--that she falls in love quickly and often adopts the interests or hobbies of her paramours, but none of her relationships have lasted long--and what she wants most out of her life and out of her apartment. We periodically check in with her neighbor, and they gradually begin a flirtatious relationship. That deciding what one wants from life and one's home is the foundation of Konmari's method. In fact, the entirety of their first lesson is basically a meet and greet, and a homework assignment: "I just want you to think about this question...what kind of life would you like to live here?" She goes on, "Tidying up will change your life dramatically. So how would you like to change?" (Here let me pause to note that I am currently in a mid-life crisis--like, an actual, literal mid-life crisis, since I'll be 42 next month; I've been having life crises of various sorts on a semi-regular basis since I was about 17--as I'm no longer certain what I want to do with my life, so I can't answer this question, which will keep me from actualizing the Konmari method, as much as I'm interested in attempting some of it). Once that's decided--Chiaki wants to make and eat delicious meals at home, eventually with another person--they get to work. Between each chapter are a few paragraphs of prose, explaining the principle just explained or previewing what comes next, and then we see as Konmari and Chiaki put it in action. So they finish discarding first, Konmari talks about sparking joy, tidying by category (clothes, books, papers and komono), dealing with sentimental things, and so on. There's a surprising amount of drama in some of this, particular one of the items from the sentimental category, as Chiaki and Konmari deal with the challenge of a painting that an old boyfriend made of her and gave to her when they were in their twenties. Konmari argues with getting rid of it--"If you hang on to things because you can't forget an old love, you'll never find a new love," she tells Chiaki--but she struggles with it, throwing it away, retrieving it, sleeping next to it in bed that night. 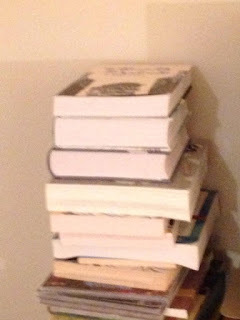 I would have kept the picture, but then, as we've already established, I am closer to a hoarder than a tidy person. I don't know who is right about such matters, either. Konmari's words are proven true almost immediately, as Chiaki and her neighbor do indeed begin a relationship, and he becomes the "new love" that replaced the old one, but then, this is a fictional story that Kondo and Uramoto are in charge of, so this "example" is highly manipulated. 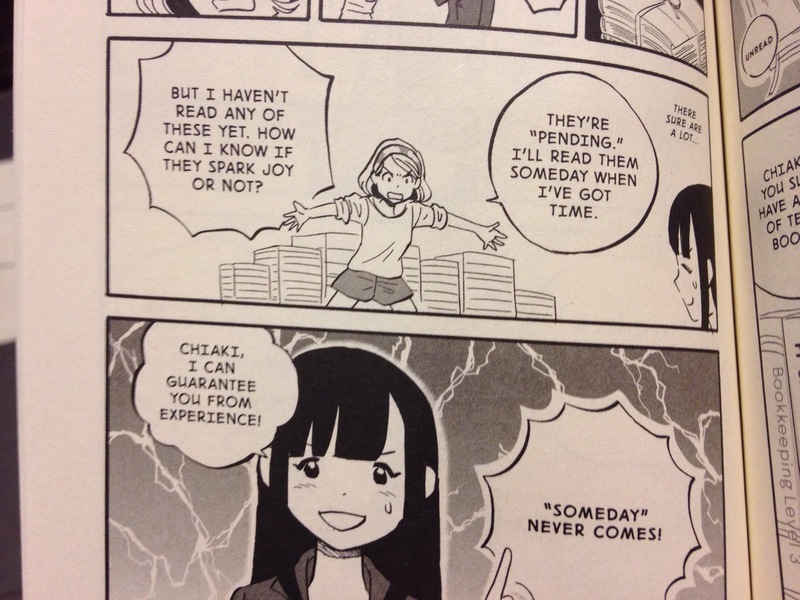 The most fun part of the book happens near the end, after Chiaki's life has been changed, and Konmari explains her own secret origin. We flash back to her childhood. 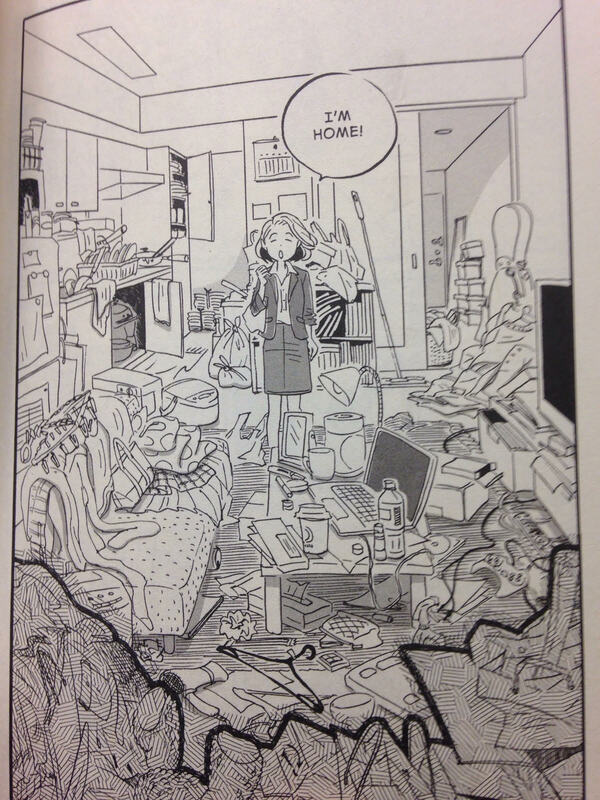 She enjoyed tidying bookshelves and complaining about the how untidy other parts of the house were, and she became obsessed with tidying up her room; cheerfully explaining that she had a "nervous breakdown" over tidying, and here Uramoto provides a panel of young Kondo in her school girl uniform, dragging a trash bag through her room while her eyes glow, and she looks frantically around the room for something she can discard. Then a voice seemed to speak to her, telling her that it's not what one discards, but what one keeps: That is, the stuff that sparks joy. Manga, with its hyper-expressive characters and explosive emotions portrayed for comedic effect, is the perfect medium for Konmari, who is here a fairly ideal manga character. While present-day Kondo moves back and forth from prim, proper pleasantness and stern task-mistress, childhood Kondo is an obsessive. I guess, in my defense, I am a semi-professional comic book critic, so I get sent a lot of books for review, in addition to buying a bunch I intend to read someday. And because I also have that full-time library job, I don't get to plow through those books with the speed and efficiency I would if I were a 100% professional comic book critic. So there's that. Konmari has an answer to Chiaki's retort about book throwing-away, as she has clearly heard it plenty of times before: How would you like it if someone got rid of your book? Konmari's cool with that, so long as her book doesn't spark joy with the person throwing it out. 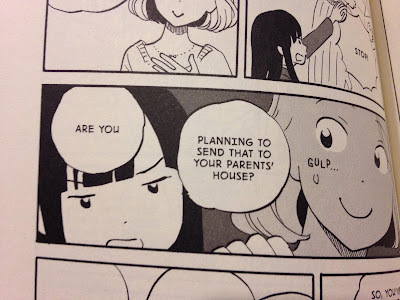 Another was when Konmari catches Chiaki in the middle of planning to send something to her parents' house. That is one of my major de-cluttering strategies too, as if I were forced to live with my entire comics library/collection/midden/hoard in my current apartment, I would have to sleep outside in my car while my comics lived in here. Am I...Team Chiaki...? *Well, I do click to and read The Comics Reporter and The Comics Journal and The Beat every week day, of course, and if you, dear reader, happen to have a blog or to work on a website that covers comics, than I certainly read that. Obviously. I mean, how could I not? We're friends, right? just fwiw, there was never a 30 book rule. She said something like that's all she needed, but didn't prescribe it. That's beside the point here, as you're right that collecting or at least completionism is incompatible with Kondo's ideology. 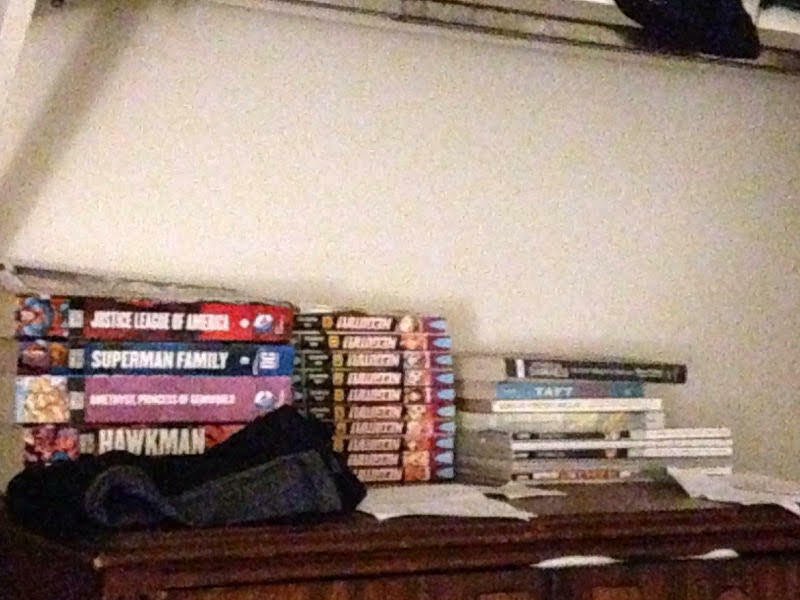 I moved a couple years ago and in preparing for the move, I found all my comics in the basement, where'd they sat since the last time I moved. I looked through them and a healthy chunk, maybe half of them, meant nothing to me. A full run of green arrow from Kevin Smith through to the new 52, some of which I had to find on ebay, the only part I liked was the Kevin Smith part. 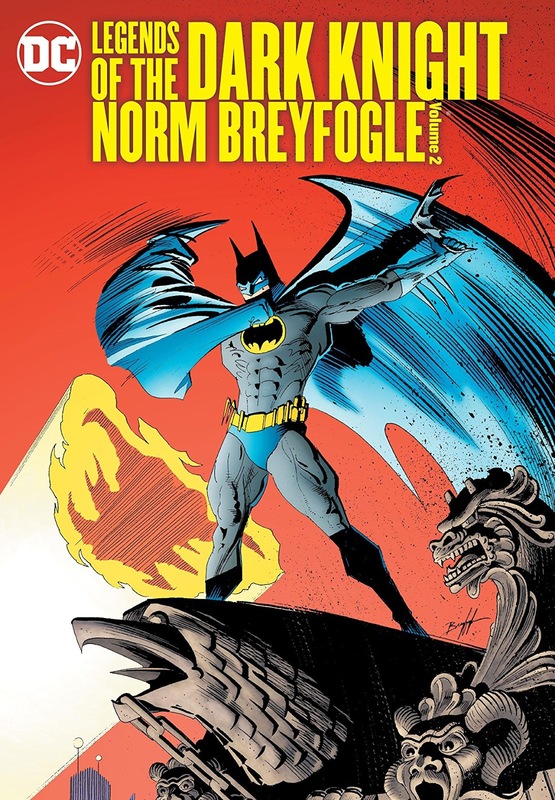 Pretty much everything from the new 52, a bunch of the later ultimate stuff. A bunch of indie stuff, Neonomicon,bits and pieces of series I'd picked at over the years. 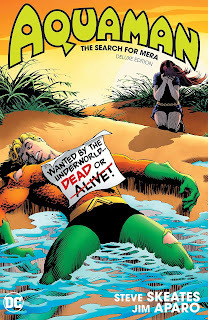 Those awful JMS superman/wonder woman comics. I couldn't imagine ever opening the bags again. So I picked up the boxes, pulled out what I liked, took the rest out to the alley behind my house and put a note up on the free section of craigslist. They were gone in an hour. That was 4 years ago and I haven't regretted it or thought about it since. I probably could've gotten rid of the rest of the stuff, too (darkest night, spider-island survived my purge). About the only comics that I've looked at since then is Thor: The Mighty Avenger.